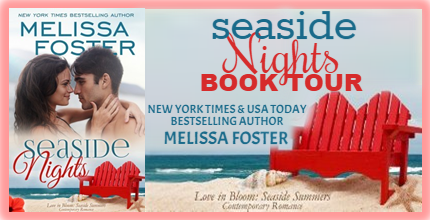 Seaside Nights was written by Melissa Foster. 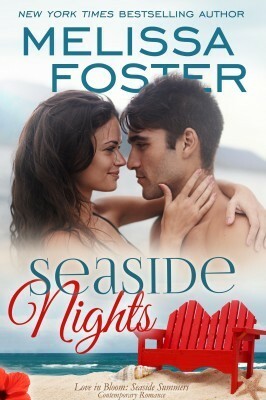 It is the 5th book in the Seaside Summers series. I was provided with a copy in exchange for a book review. All opinions are my own. From the moment Skye and Sawyer saw each other you just knew their romance was going to be hot. There was almost a magic in the air with this story. It was definitely full of serendipity. 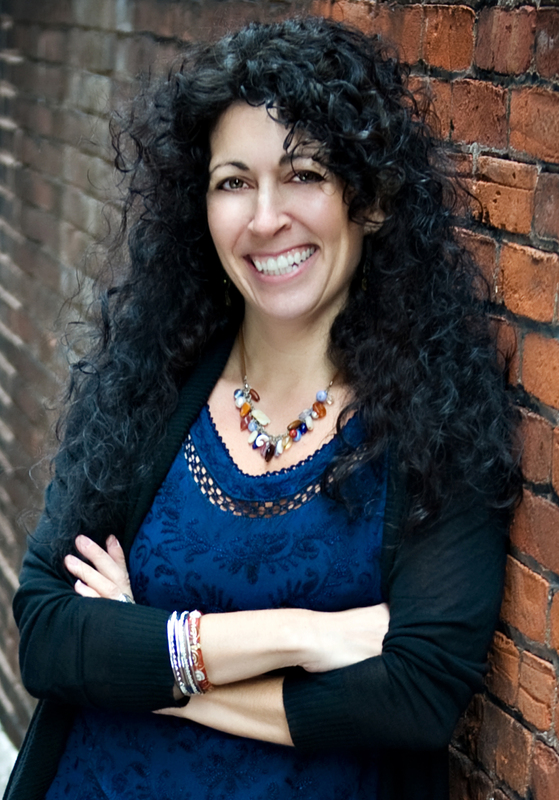 Melissa Foster could absolutely write a paranormal series full of magical romance. I would be in heaven! Sawyer was absolutely swoon worthy in a way Foster's other leading men haven't been for me. He was totally tall, dark, and handsome... a little mysterious... and a boxer. But, poetry just fell from lips. Honest, sincere, poetry. And music.... he just couldn't contain it. What girl wouldn't swoon? I don't have a tattoo... but if I could find Skye in her Inky Skies shop... I would totally get one. She is just so NOT your stereotypical tattoo artist. Earthy and flowy. She was compared to a butterfly at one point and it was so perfect. I haven't a clue what kind of tattoo I would get... but I'm sure Skye could figure it out. Sawyer and Skye together created extreme heat. I love that they just couldn't control themselves and that when they were in the same space even their friends could see the sparks between them. They definitely leave a reader breathless. I do wish there had been a little bit more right before the ending. Specifically... I would have liked one more conversation between Sawyer and his dad. Or both of his parents. The end was brilliant as far as I'm concerned (and I will not tell you what happens) but I could imagine the conversation between Sawyer and his parents being an amazing emotional scene.